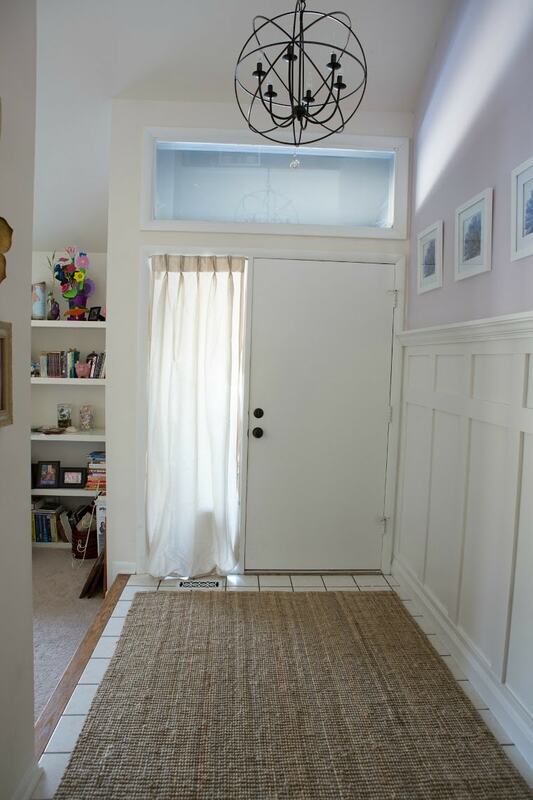 You are here: Home / Room Makeovers / 30 Day Makeovers / BEFORE & AFTER: Alex’s Prettiest Entryway EVER! I feel like I’ve been away forever. Well, exactly 1 week, which IS forever in the blogosphere! Our 30-Day Junk-Free January Room Challenge is wrapping up and I’m not going to lie–I’M NOT DONE. I definitely bit off more than I can chew with taking on the whole basement. But that’s how I rollz. ;). I’ll be posting my basement (hopefully!) on Friday, but in the meantime, be prepared for a total influx of BEFORE and AFTERS from everyone that participated in the challenge! Prepare to be inspired, is all I’m saying! 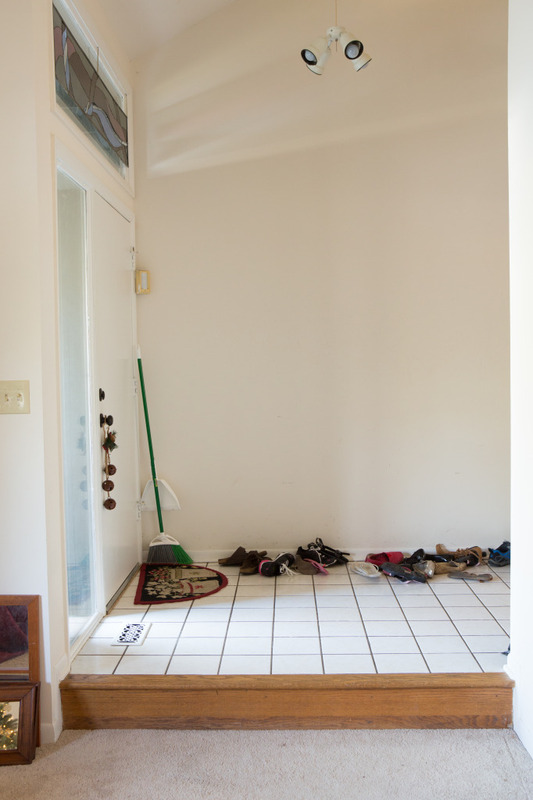 As I sort slowly sort through all the pictures, here’s one of the Junk-Free spaces that totally make me gasp. It’s absolutely LOVELY! 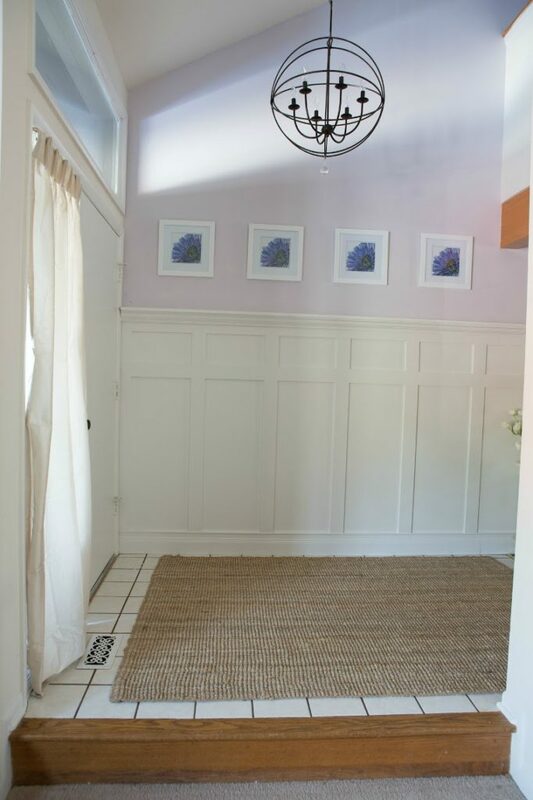 Soft….inviting….and a comfort to walk in to. Great job once again, Alex! 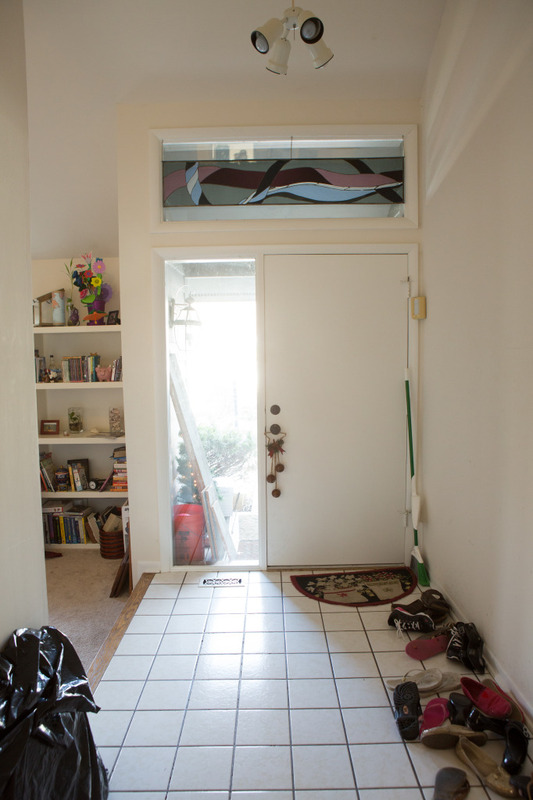 It wasn’t that Alex’s entryway was bad…. (just like her dining room), but it didn’t have any pizazz. 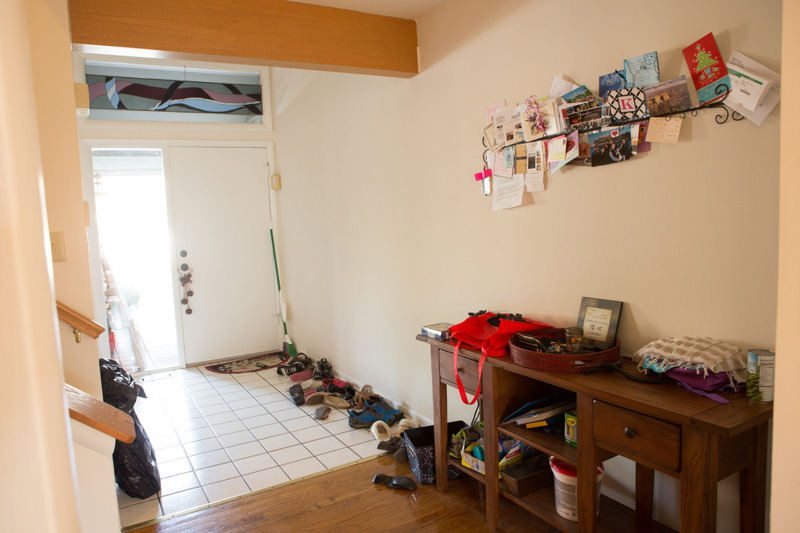 Isn’t Alex’s entryway sooo pretty?? She really captures my heart with her choice of colors and fabrics. Want to see the rest of the 30-Day Junk-Free January “BEFORE” and “AFTER” pictures from other challengers’ rooms and spaces? Check them out HERE! 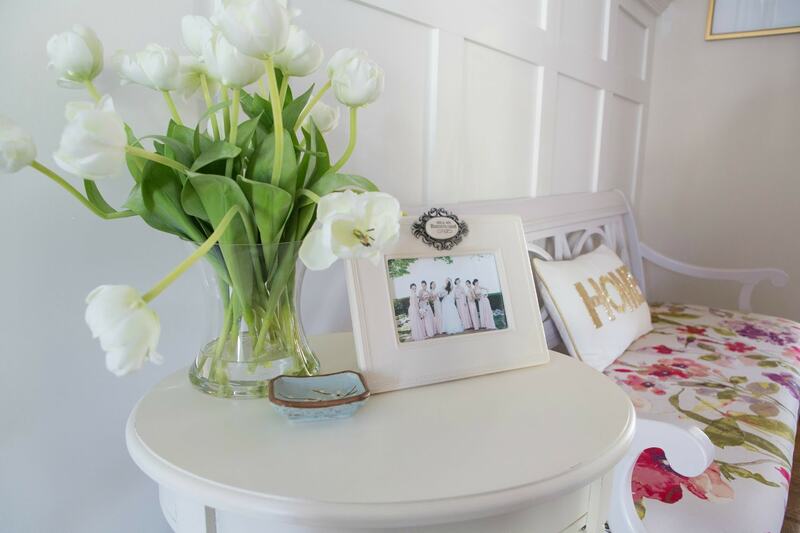 Sign up for the next room challenge makeover HERE. 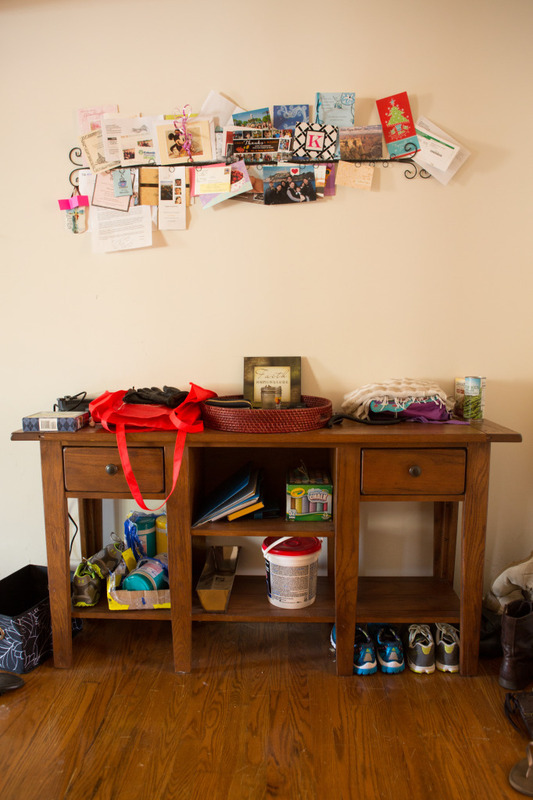 « BEFORE & AFTERs: My Pretty Pink File Cabinets! She did, didn’t she?! She’s done 2 or 3 of my room makeover challenges and she always comes up with the prettiest stuff! I love her sense of soft, comforting style! This is beautiful Alex! The light fixture is gorgeous and perfect for the space. I am wondering too about the shoes. Are they in the basket under the bench? And how did you train everyone, or are you still in training for that? It’s just beautiful tho! Stunning! 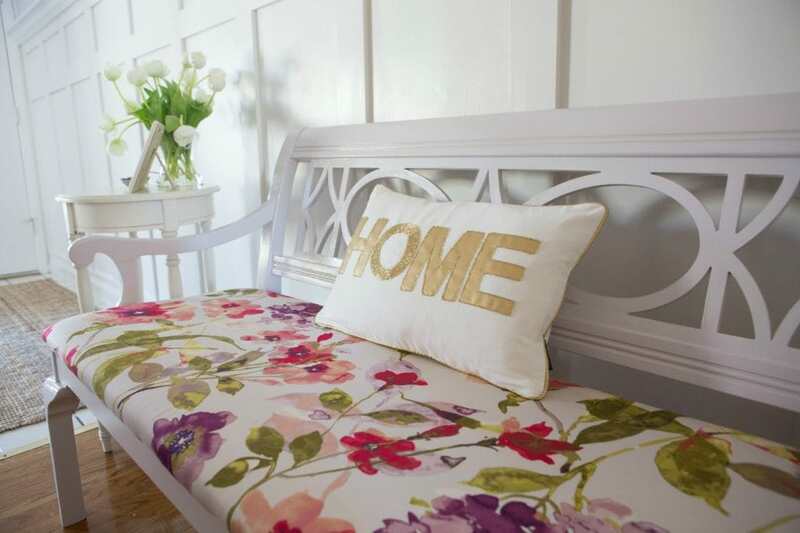 So much more light and airy; and the bench – fabric and all – is a real beauty. What talent this lady possess. She should be very proud of this “new” entryway.